Wow! What a lovely hallway! First thing that grabs my attention is the perfect combination of details. 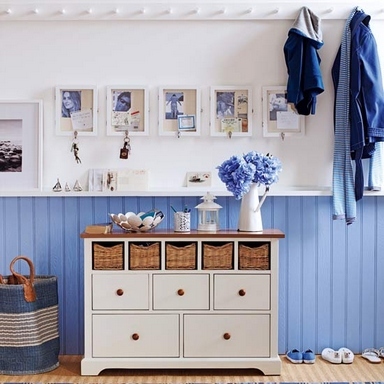 Blue and white come together to give a really fresh scheme. I'm totally in love with this nice and cute interior.